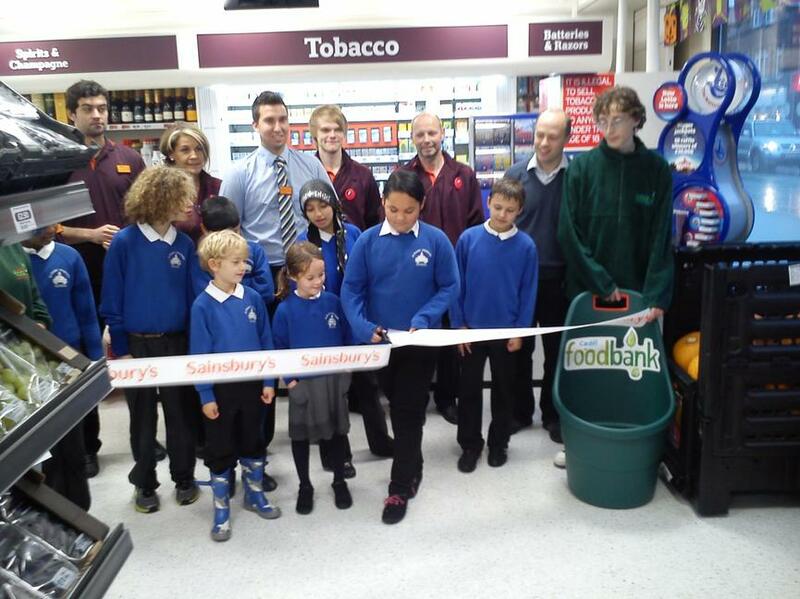 A group of 8 pupils from Albany went to the new Sainsbury's Local store on Albany Road today. 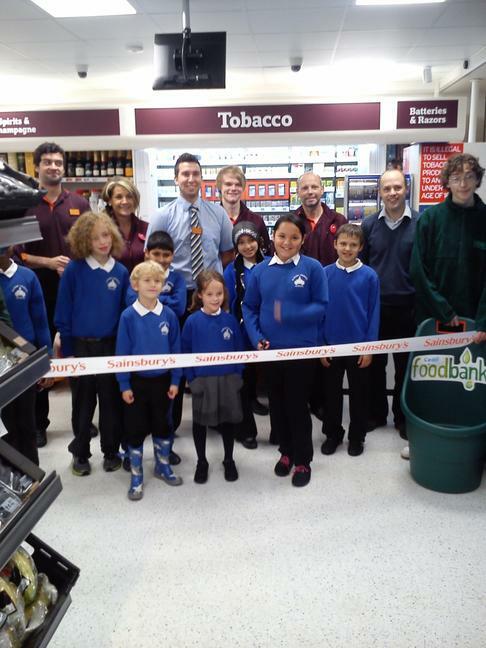 We were very proud to be part of the official opening and one of our year 6 children cut the ribbon to declare the store open. The children were also given a tour of the new store and a goody bag each. Children from Albany Have also been designing food posters to be displayed in the new store, these look very good as you enter the shop. Four pupils have been selected by the Sainsbury's staff and will be presented with £5 gift vouchers in assembly tomorrow. Sainsbury's have also agreed to support future events in the school and today provided a basket of food from around the world to support year 4's World Food Market. They have also donated two large bags of outdoor play resources for the children to play with at playtimes and lunchtimes.